Hooklinker is a mobile all-in-one multi-purpose boathook to make awkward mooring manoeuvres easier. Together with stainless steel spring snap hook, LED flash light, and holder for Boatasy GHOOK, guarantees a complete and quick mooring experience. 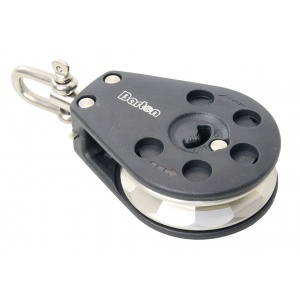 Depending on whether you are mooring on the buoy, lazy lines, rings, etc., you can easily attach them on its holders. Hooklinker is a unique accessory adapted to attach Boatasy GHOOK, used for clean transfer of overgrown lazy (mooring) line. Now, picking a lazy line from the pier with connected GHOOK on Hooklinker is easier and safer. GHOOK is mounted on about 2-meter long telescopic hook, and provides and easy lazy line pick up from the pier during the approach to the mooring place. With the simpler connection, the final results are shorter mooring time and cleaner boat and hands. With Hooklinker you can easily moor also on the buoy, ring, etc.. together with the integrated spring snap hook (carbine). It could be easily fixed into the flexible holder and disconnected once the ring is connected. When you disconnect, the closer automatically locks the entry hole of the carbine leaving the boat securely moored. High performance LED flash light integrated on it improves visibility during the night or in poor visibility, 24 hours a day. Moorings are now done with less stress and efforts, making Hooklinker an ideal solution also for the less-experienced crew or solo sailors. If you would like to have fenders they harmonize with the color of the hull, the sprayhood, Bimini or the Boom cover? Choose the US fender manufacturer POLYFORM US. They offers its products in a variety of trend colors. As the German importer, we already have some of these chic fenders in stock. How about a Classic Red or Saturn Yellow, Navy Blue or simply plain in a subtle grey. 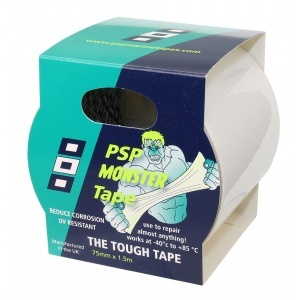 All other colors from the POLYFORM US range are available with a certain delivery time from us. Finally, the Polyform US quality fenders and buoys manufactured in the state of Washington right next to the Pacific Ocean. A fine selection of polyform fenders can be found here.